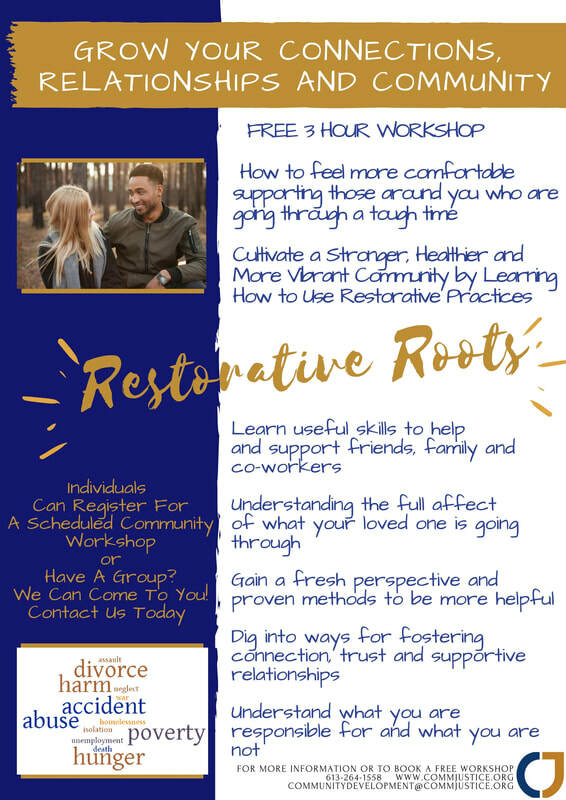 We offer FREE workshops to any community member, group, organization, team or company to teach you how to use Restorative Practices to build healthy connections, support anyone in your life who is struggling or experiencing some kind trauma or difficulty. 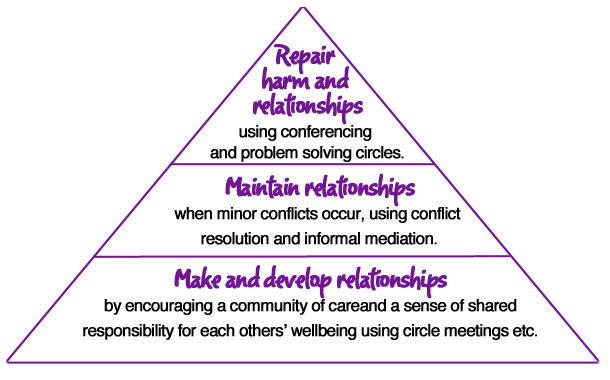 We work with service providers, non-profits, companies, businesses, faith groups, community groups, civic clubs, staff teams, sports teams...basically any group of people that need to get along can benefit from using Restorative Approaches to support one another and build healthier, stronger connections. 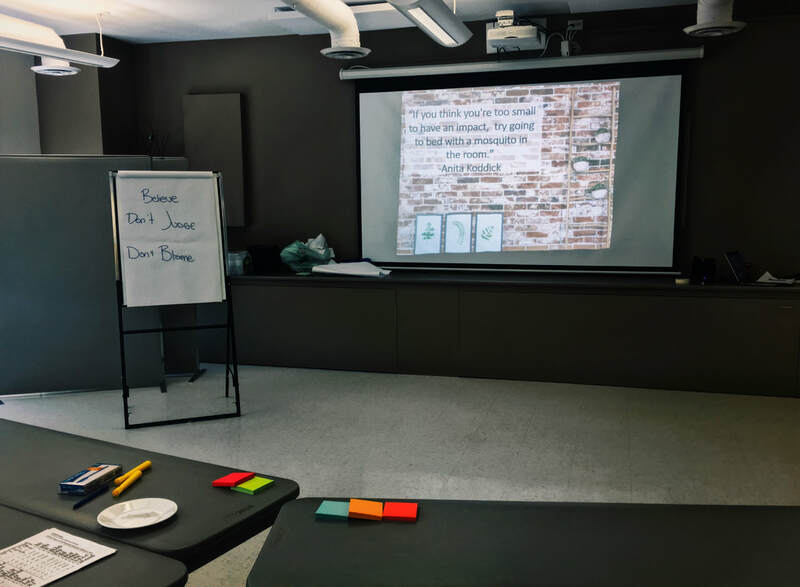 If you have a group of 8 or more participants and an accessible venue, we will come to you. ​We also have scheduled workshops that individuals can sign up for on a regular basis across Lanark County. Please check out our calendar of Community workshops then register on Event Brite or contact us to find out more.